Photographs collected and edited by Thomas Sauvin. Design Mei Shuzhi. 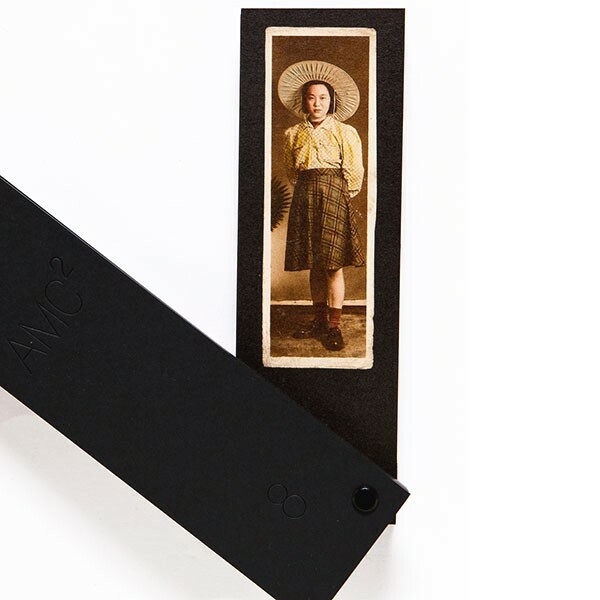 Issue 8 of Amc2 features a selection of full-length portraits, some black & white and others hand-coloured, made in Chinese studios between the 1930s and the 1980s. 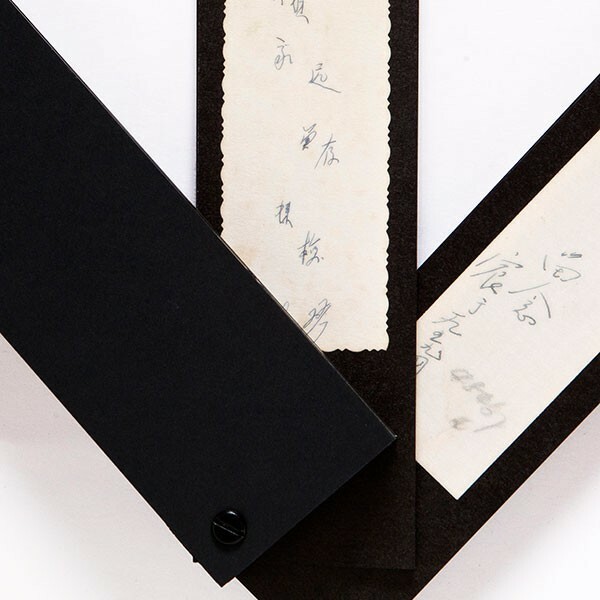 This serendipitous reunion of 60 anonymous portraits reveals – through the dress codes and behavioral mores they present – fragments of the history of Chinese society and ideology. "MC2 Issue 8: Quan Shen, is the most cleverly designed of AMC2’s publications to date, and pays special attention to the power of the object. One can't quite describe it as a book, though it definitely is that — it's also a small sculpture. I’ve showed Issue 8 to some friends, a few others have encountered it without introduction. The response has universally been one of confusion, curiosity and mild intimidation — most have asked for permission to touch it. In its case it stands as a small black monolith with glimmering yellow edges. 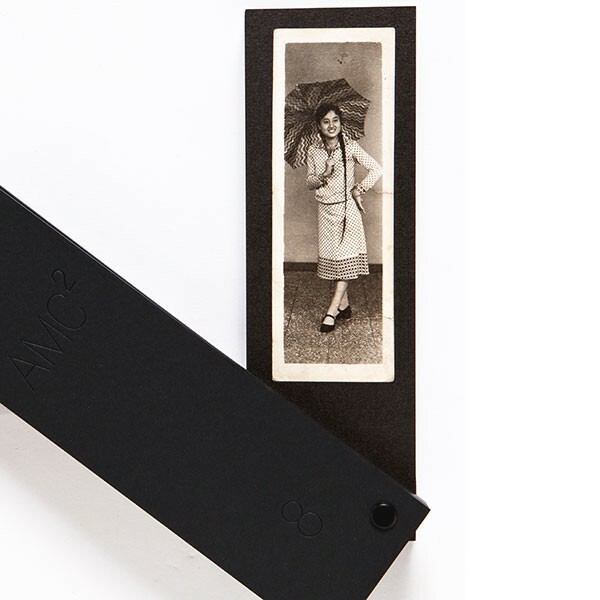 Slide it from the Lucite and you encounter a fan of images, bound like a book of swatches. 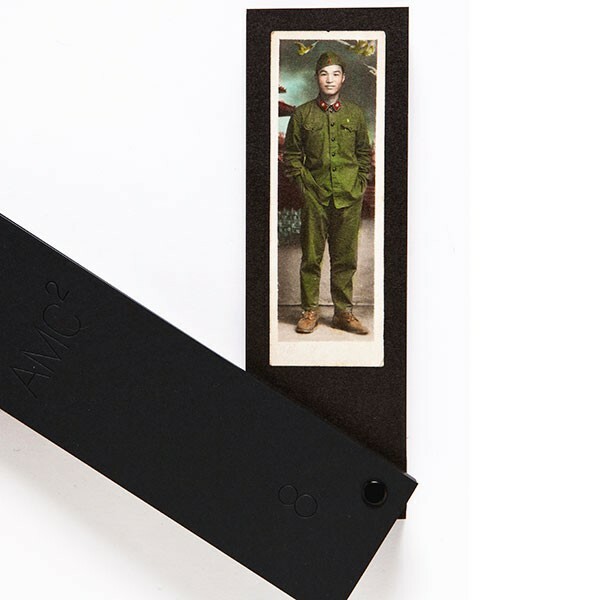 On each card is a portrait, a collection featuring Chinese citizens taken between the 1930s and 80s, part of the enormous photo archive amassed by Thomas Sauvin. "